In his latest attempt to micromanage immigration judges and ensure a maximum number of deportations, Attorney General Jeff Sessions issued a decision last week restricting a judge’s ability to terminate cases. He made this decision despite the fact that these cases may be unnecessary to pursue and helpful to clear out as judges manage their overloaded dockets. Before last week’s decision in Matter of S-O-G- & F-D-B-, immigration judges have been able to terminate cases when noncitizens are eligible for naturalization or other types of immigration statuses. On such case cited in Session’s decision features a citizen from Brazil who was granted termination to obtain an immigrant visa. The judge determined that there was no reason for the case to remain on the court’s “busy docket” while the respondent waited for her consular interview. The individual’s case had been administratively closed after she had received a necessary waiver. All that remained was for her to complete consular processing abroad. Sessions disagreed with the judge’s approach, stating that the availability of immigration relief and a desire to manage the court’s docket do not justify an immigration judge’s decision to terminate a removal case. Presumably, under Sessions’ view, the judge should have ordered the person deported even though she was eligible to become a lawful permanent resident. This case is just the latest example of how Sessions is systematically using his power as Attorney General to reshape how immigration judges decide their cases. By restricting the authority of immigration judges to make thoughtful decisions to terminate cases, Sessions is placing more individuals who are eligible for immigration benefits at risk of deportation. As a result, immigration judges may only terminate cases in specific circumstances provided in the regulations or when the government cannot prove the charges that have been brought against them in the Notice of Appear (NTA) – a charging document issued by the Department of Homeland Security (DHS) to begin a noncitizen’s removal proceedings. The frequency with which these decisions have been issued is alarming for noncitizens whose opportunity for a fair day in court are narrowing. Since May, Sessions has waged an all-out attack on judicial independence. Another example comes from a decision he issued in Matter of Castro-Tum where he declared that judges do not have the authority to administratively close cases—another important tool allowing judges to manage their docket more effectively. Lastly, in Matter of A-B, Sessions limited immigration judges’ ability to protect asylum seekers fleeing domestic violence and dangerous gangs, overturning years of legal precedent in asylum law. Sessions is fixated on rapidly removing noncitizens from the country rather than helping find viable solutions to the current backlog of more than 700,000 cases currently pending before immigration judges. Judges not only are being restricted in how they utilize their limited resources to properly prioritize and adjudicate cases in their dockets, but they are also being pressured to complete more cases. Sessions announced earlier this year that he is imposing a quota system on immigration judges. Through these decisions and actions, Sessions is single-handedly reshaping how immigration court operates. These systematic attacks on vulnerable noncitizens and immigration judge’s judicial independence are expected to continue. 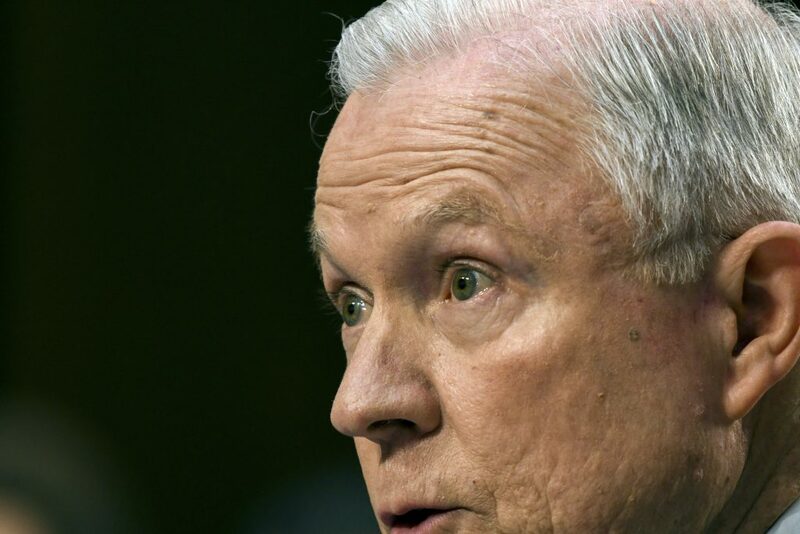 Last week, Sessions issued a call for briefing in Matter of M-G-G, posing an opportunity for him to overrule a Board of Immigration Appeals decision that held certain asylum seekers who establish credible fear are entitled to hearings to determine their eligibility for release while their asylum applications linger before the immigration courts. More restrictions on the judicial independence of immigration judges will not address any flaws in our immigration court system, they will only produce more ineffectiveness and leave hundreds of immigrants without the fair process to which they are entitled under the law.